Have I got a deal for you! Round here, Wednesday is usually DoAhead Dining day. Technically, it still is. But I’m thrilled to be sharing a recipe for Iced Coffee (perfect for up coming graduation receptions 🙂 ) over at my friend, Amy Lively’s site. Amy has a heart and ministry for reaching our neighbors. 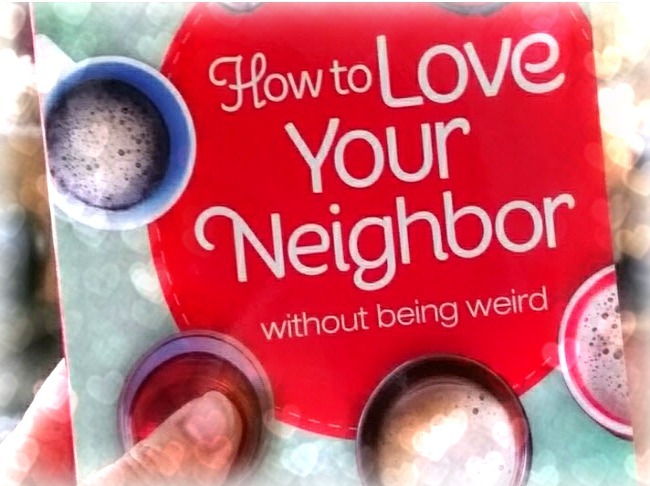 Her book, How to Love Your Neighbor Without Being Weird ( I love that title) gives us the tools and encouragement to take that risky but rewarding step to get to know the folks next door! Please hop over to Amy’s site today, howtoloveyourneighbor.com. I pinky swear promise you won’t be disappointed!